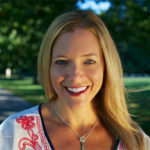 Natalie Chambers Snapp is an author, blogger, and speaker who describes herself first and foremost as a follower of Jesus, then wife to Jason, and mom to one spunky daughter and two spirited sons with a whole lot of energy. Not choosing to follow Jesus until the age of twenty-seven, she is passionate about sharing the grace, mercy, and truth of God’s love regardless of your track record. Her authentic approach to life and faith is both refreshing and endearing. 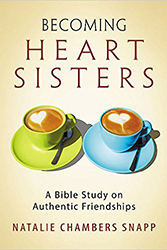 Natalie is the author of Becoming Heart Sisters: A Bible Study on Authentic Friendships and the book Heart Sisters: Be the Friend You Want to Have and has written for various blogs and online devotionals, including Proverbs 31. She is also a part of the revered Abingdon Women writing and speaking team. She lives in West Lafayette, Indiana with her crew and writes about faith in the everyday mundane. 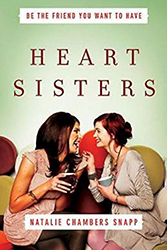 I'm so grateful for Blythe and the wisdom and direction she provided when I was signing both my first and second book contracts. Not only is she knowledgeable and savvy in her field but she's also a great friend and values her client relationships. While it's true that Blythe is indeed my agent, I also count her as a friend who truly cares about the work we do.